Face it, retirement can be tough. Although many of us sock away money every month and daydream about all of that free time, the reality is, living off of your nest egg is a scary proposition for many Americans. And according to a recent study by the Employee Benefit Research Institute, only 31 percent feel confident they’ve saved enough for retirement. No one can predict inflation rates or fluctuations in the stock and housing markets, but there are a few factors that can give retirees some financial relief—and they all come down to location, location, location. Northeast Florida can help take a lot of the worry out of retirement when it comes to taxes and cost of living. 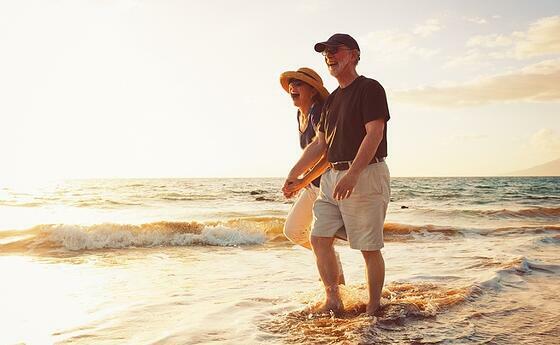 Maybe that’s why Jacksonville was recently named one of the Best Urban Places to Retire by Nerdwallet, and is frequently included in Kiplinger’s list of the 10 Most Tax-Friendly States for Retirees. 1. Low Sales Tax Rates - sales tax is a necessary evil, but around here, we keep it to a minimum. In Duval County, the rate is made up of 1 percent county and 6 percent state, and St. Johns County boasts one of the lowest sales tax rates in Florida—there’s no county tax, just the state rate of 6 percent. 2. No State Income Tax - Florida is one of only 12 states that do not tax your income. For retirees, it’s fortunate that this also applies to any Social Security income you have coming in, leaving more funds for food and entertainment. 3. No Estate or Inheritance Tax - for those wanting to ensure Uncle Sam doesn’t receive the lion’s share of assets upon passing them down to heirs, Florida is one of 31 states that don’t charge an estate or inheritance tax. 4. Homestead Exemption - Florida homeowners can file for a homestead exemption of up to $50,000 off of the taxable value of their home, which adds up to hefty savings in property taxes (every year the retiree maintains the home as a primary residence). Retirees can take advantage of up to an additional $50,000 in exemptions for homeowners over 65 who meet certain requirements. 5. Low Cost of Living - what good is an affordable home if you’re having to spend your nest egg on everything else? Fortunately, Jacksonville boasts a cost of living index of 92.9 out of 100 when food, entertainment, healthcare and utilities are factors. The high cost of living in many northern cities is when of many reasons families are coming south. 6. Affordable Housing Options - whether you’re a golfer, beach bum or boater, the area has affordable housing options for retirees looking for active adult communities, townhomes and single-family homes. Master-planned community, Nocatee, currently has more than 15 neighborhoods and 11 builders to choose from (and counting), each with varying sizes, price points and home-design style. To learn more about affordable homes in Nocatee, visit nocatee.com or stop by the Nocatee Welcome Center.